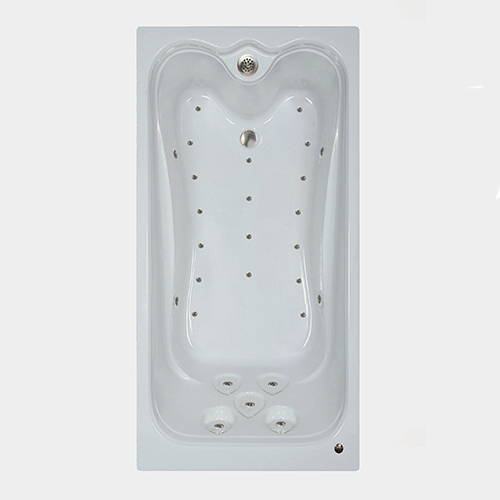 Create a spa experience in your bathroom with our stylish Premier 6032 air bath. It’s like our other air tubs, only better. Envelope yourself in luxury as you rest against its contoured back and built-in armrests. Pamper yourself with your favorite bath product as millions of tiny bubbles from 27 air injectors lift your spirits. The Premier 6032 air bath has five air injectors at your back, four on the sides, as well as the ones on the bottom of the tub. Two rounded foot wells provide plenty of room, each with its own air jet for massaging your feet. Comfortflo’s Top Overflow drain, included in our premier tubs, is designed to allow for 20% more water depth compared to a side wall overflow of standard tubs. Its size is ideal to incorporate a shower over it. Designed to fit any space, this tub will take your bathroom to the next level. 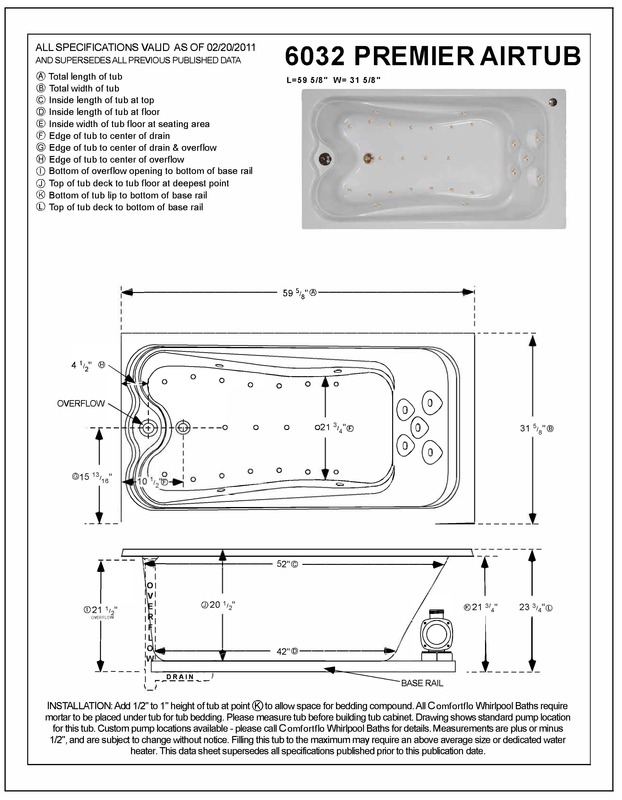 Water capacity: varies according to size of bather.